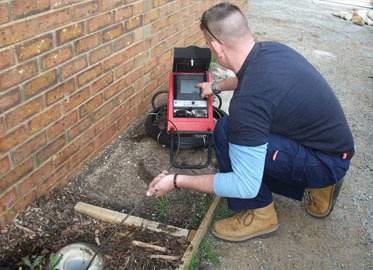 Our plumbing technician will insert a flexible rod with a high-resolution video camera on its tip into pipes 2 inches in diameter or larger. The flexible rod allows the camera to travel through the pipe–even around corners–to see the pipe in its entirety. 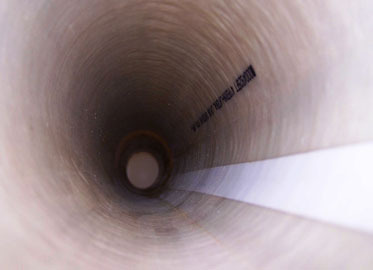 Real-time video image transmission allows the technician to determine the condition of the inside of the pipe and understand any existing or potential problems. 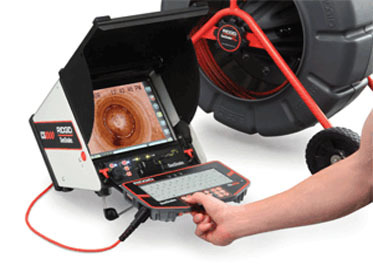 A video camera line inspection pipe will identify all types of problems, such as root intrusion and pipe that is misaligned, broken, punctured, off-grade or corroded. The camera also identifies grease buildup, leaks, and obstructions. 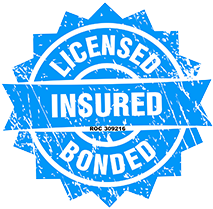 The inspection can be repeated after any service is performed to verify that the line has been properly cleaned or repaired.